MV Agusta has launched the F4 Claudio, a bike made in honour of its creator, the late Claudio Castiglioni. It is based on the top spec F4 Reparto Corse and gets carbon fiber bodywork, carbon fibre wheels and an SC project titanium exhaust system. It weighs just 175 kilos. The bike costs Rs 60.76 lakh (without taxes) and just 200 of these will be made. The F4 series of bikes come with a 998cc in-line motor that makes 205PS (212PS) and 115Nm of torque. It has four stage rider mode and eight levels of traction control. The base version gets 50mm Marzocchi fully adjustable front forks and fully adjustable rear Sachs monoshock. Braking is via twin 320mm front discs with Brembo radially mounted calipers and a 210mm rear disc with a Nissin caliper. The F4 series include the base F4, F4 RR and F4 RC. MV Agusta F4 prices start at Rs. 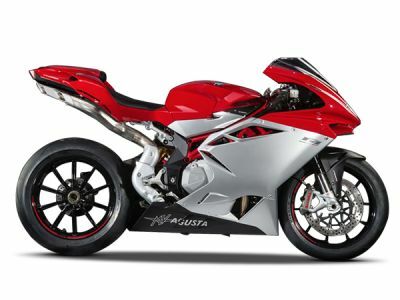 27.25 lakh (Ex-Showroom) and the top end variant MV Agusta F4 RC is priced at Rs. 50.62 lakh (Ex-Showroom). MV Agusta F4 is available in 3 variants and 5 colours. Share your experiences with F4?